Buying Kenya properties is much like buying property anywhere. There is red tape to cut through and regulations to follow. Knowing what to expect can help you save time and money when trying to manage a property transaction in Kenya. When buying or selling any sort of property in Kenya, you need to have a lawyer to represent you. Having a lawyer in Kenya is a necessity in order to manage all the legal details on your behalf, especially if you are not already living in Kenya. 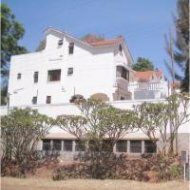 Your lawyer will need to do a thorough title search to make sure that the seller is actually the legal owner of the property - a common problem in Kenya real estate. Your lawyer can only complete certain parts of the proceedings in your absence, if you give him power of attorney. The Kenya real estate market hasn't quite established a central internet presence yet, so you might have the best luck getting in direct contact with real estate agents in your areas of interest. There are a couple of Kenya properties search engines that can give you a quick look into available homes, but they are not a complete picture of the market. 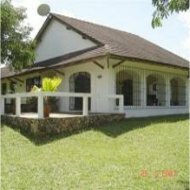 Property.co.ke and PropertyKenya.com are two worth browsing through. Many international real estate databases will have sections for Kenya properties as well. Though these sites are helpful, they tend to represent the higher end of the price market, with few listings for "regular" houses. If working with an agent, be sure to tell them whether you are looking for a residence for yourself or an investment property for rental. Don't take for granted that the property market in Kenya will be the same as North America or Europe. Always do your research when looking at a listing. The range in pricing can be quite extreme, with homes available for $20,000 all the way up to more than $500,000 (those prices are in US dollars). At the lower end of the price spectrum, homes are probably going to be below the standards seen in the US market in terms of size and quality. But once you go above the $150,000 point, Kenya properties can be as large as any homes in North America. Homes in this price range often have 4 or 5 bedrooms, and staff quarters are not uncommon. Homes may be leasehold or freehold. A leasehold property doesn't not directly include the land, meaning you are only leasing it. Leases last anywhere from 50 to 99 years. Freehold homes are more desirable, and obviously more expensive. Utilities like electricity, telephone and water services are common in urban areas. Even in large cities, properties can often use a septic system for waste. Types of property are usually the same as in the US or Europe, with townhouses, apartments, and single homes. Any Kenya properties located in popular tourist areas and intended for vacation use, are priced significantly higher. Luxury villas and estates can reach prices of more than a million dollars, especially in the beach resort areas of Malindi and Diani.